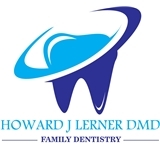 Howard J. Lerner, DMD (New York) - Book Appointment Online! Dr. Lerner is great. I've been going to him for years and he's always been friendly and respectful of my time. I've never had an unexpected bill or an unnecessary procedure, and I've recommended him to friends/family who feel the same way.